According to Eddie Makuch's article on GameSpot, Nintendo's newest console, the Nintendo Switch, has been the fastest selling console in a large number of major markets around the globe. On top of that, GameStop Merchandising Director Eric Bright has said that so far, the sales of the Nintendo Switch since release have "been phenomenal." 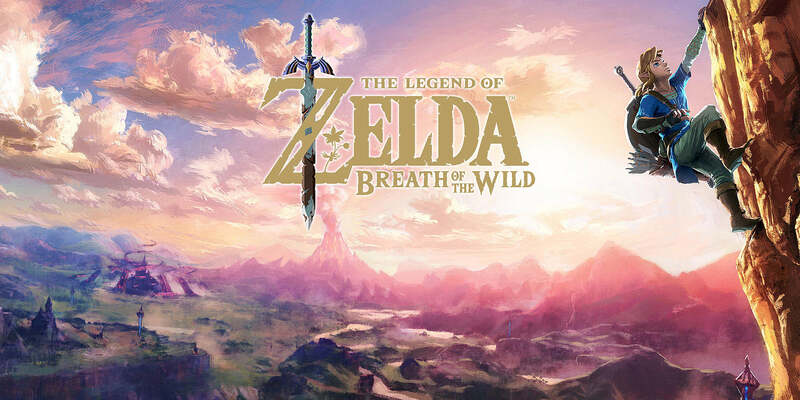 Bright also commented on software and accessory attach rates, claiming that it's one of the highest the company has ever seen, which may in part be due to The Legend of Zelda: Breath of the Wild, Nintendo's newest title in the Legend of Zelda series. According to anecdotal data, it is the sole game purchase for most Switch buyers -- which isn't terribly surprising considering the Switch's otherwise small launch lineup. Regardless of that, the Nintendo Switch has broken some of the sales records set by the Nintendo Wii on its launch day, and the new console could be on track to take the title of Nintendo's best selling console of all time. However, the Switch still has some way to go before it can totally beat the Wii, which sold over 100 million systems during its lifespan. But riding a wave of optimism, Nintendo has also recently announced that they would increase the amount of Switch units produced in the next year from 8 million to 16 million. This seems like a rather large amount, but with more previously announced games still to be released this year, plenty of yet unannounced titles, and the company's strong faith in its new system, this number has the potential to increase even further in the years to come. So having said that, let's take a look at Nintendo's recent history developing, releasing, and nurturing "next gen" consoles -- and what that could truly mean for the Switch. 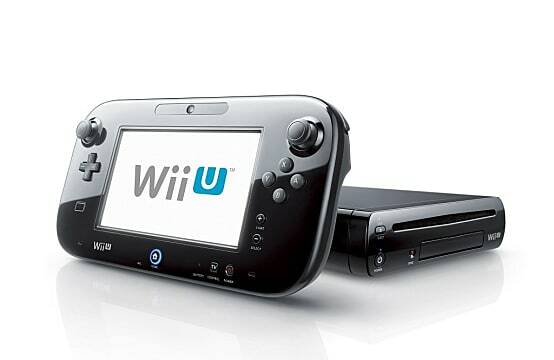 Nintendo's previous console, the Wii U, had a hard time reaching success due to its lack of appeal. This was caused by a handful of different factors. Was the Wii U a Console or Accessory? Ever since the Wii U was first announced, consumers have often been confused by the console's name, not understanding whether it was a new console or some kind of add-on device for the Wii. Nintendo didn't properly communicate that the Wii U was a brand new console -- or properly market the novelty of it. Thus, the console had a relatively quiet release, and it still has continued trouble properly eschewing that confusing persona for gamers around the world. 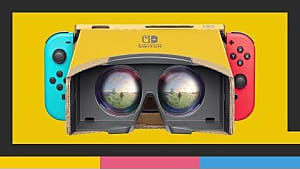 Despite that, the console still had a number of high quality first-party exclusives over its lifespan -- from sequels like Mario Kart 8 and Super Smash Bros, to brand new games like Splatoon and Super Mario Maker. The problem was that as the Wii U continued to under perform, the release dates between first-party titles grew farther apart, and purchased consoles often became dust collectors between releases. The Wii U's lack of third-party titles was also a bad sign for the console's longevity from the outset. At the beginning of its life -- although still small in number compared to the competition -- the console had support from big companies like EA and Ubisoft, with Triple-A games like Assassin's Creed: Black Flag, Mass Effect, and Madden hitting the system early. 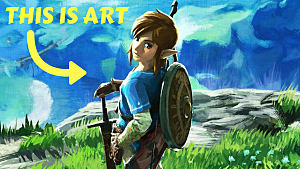 However, better versions of these and other third-party games were already available on other next generation consoles. As the Wii U's lack of success became more apparent, the number of third-party games in the console's library decreased rapidly, contributing to the general lack of interest in the console that pervaded the gaming community. 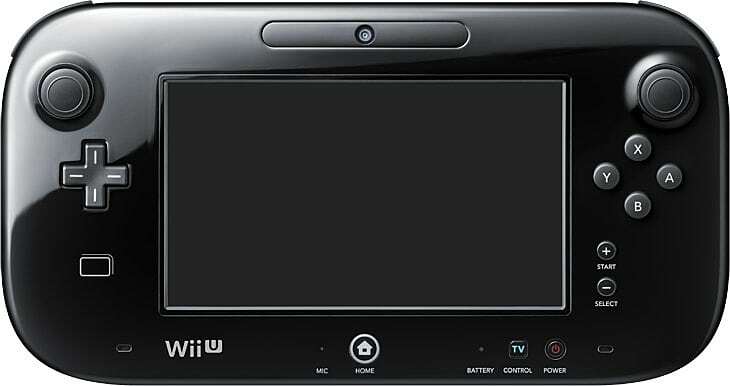 Another problem with the Wii U was its novelty tablet controller, which was known as the gamepad. Of course, plenty of games allowed players to use the Wii U's Pro controller -- and the console even provided backwards compatibility with the Wii's classic controller. But other games exclusively used the gamepad, not allowing use of other controllers, alienating certain core and casual players. The most notable of these games was Super Mario Maker, but the real difference was that the game actually benefited from only using the gamepad, as it made level creation much easier. Furthermore, a notable title in which gamepad exclusivity was heavily criticized was Star Fox Zero, a game many hoped would help boost sales of the Wii U, just as Splatoon and Super Mario Maker had done months earlier. As it would turn out, Star Fox Zero disappointed many fans because of it's repetitious material and frustrating control scheme. The Wii U's virtual console had plenty to offer, so it's shocking that it didn't help the Wii U's cause. 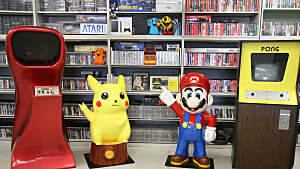 On the Wii U, the virtual console was unique in that in addition to many classic NES, Super Nintendo, and Nintendo 64 titles that had also been on the Wii's virtual console, the Wii U's virtual console was the first, and so far only, VC to have a number of Game Boy Advance and Nintendo DS titles available for download. These new additions could have worked in the Wii U's favor, but failed due to the lack of advertisement and relatively high price points. Surprisingly enough, a few games are still being released on the Wii U virtual console, even after the announcement and release of the Switch. But with the system becoming outdated and the userbase moving on to a new console, this seems like a wasted effort on Nintendo's part. The Nintendo Switch released to high acclaim among Nintendo fans and already has more widespread appeal than its predecessor. Why? Because Nintendo has shown some improvement on the factors that led to the Wii U's failure. In the October 2016 reveal trailer for the console (seen above), Nintendo was able to effectively communicate exactly what the console was -- a handheld and home console hybrid that adopters can play anywhere with anyone. Due to Nintendo's strong history with handheld consoles (which we won't cover here), the Switch seemed like a great idea for the company. Finally, Nintendo could focus all their effort on just one console, which shared so many elements with its strongest suit -- handheld gaming. Nintendo seemed to be implementing their long-standing handheld knowledge into a truly revolutionary system. Although the Joy-Con controllers have received some criticism due to shape, size, and sync issues, they're still a huge improvement over the Wii U's gamepad. 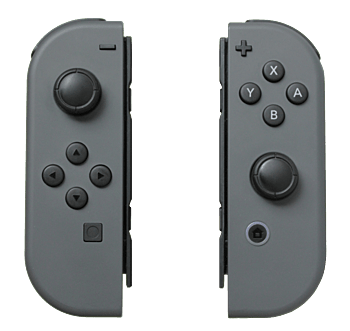 In grip mode, the Joy-Cons are much closer to a standard controller, despite their more rectangular shape. 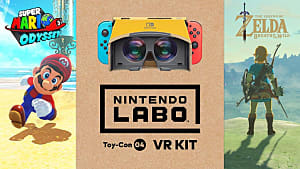 In addition to having the standard buttons and analog sticks, the controllers each contain an accelerometer, a gyroscope, and an infrared depth tracking sensor, which Nintendo has said can read objects held by the player and motions made in front of it. The Joy-Con controllers also support a new feature called "HD Rumble." This new feature can generate detailed haptic feedback, creating the feel of ice cubes in a glass or a fizzing bottle of champagne. Because of these features, we could be seeing more enhanced ports of games previously released on the Wii -- and maybe even sequels that would have similar controls. Other than a few minor hardware issues-- which are common this early in a console's life-- there two issues in particular that fans are worried about, since they contributed to the Wii U's demise. The first issue is that as of right now, the lineup of first party games is still small, with month-long (or even longer) gaps between releases. 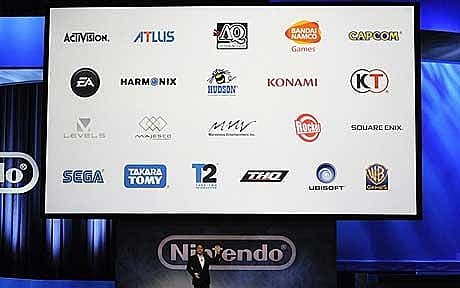 With this is mind, however, it's important to note that this year's E3 will be the first to feature the hybrid console. 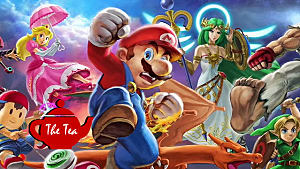 Nintendo of America President Reggie Fils-Aime has claimed that Nintendo has big plans for E3 -- a welcome change after having such a small presence last year. 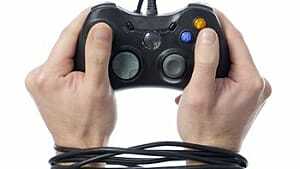 Third party offerings still look slim, though, with many studios supposedly still working on games for the console. 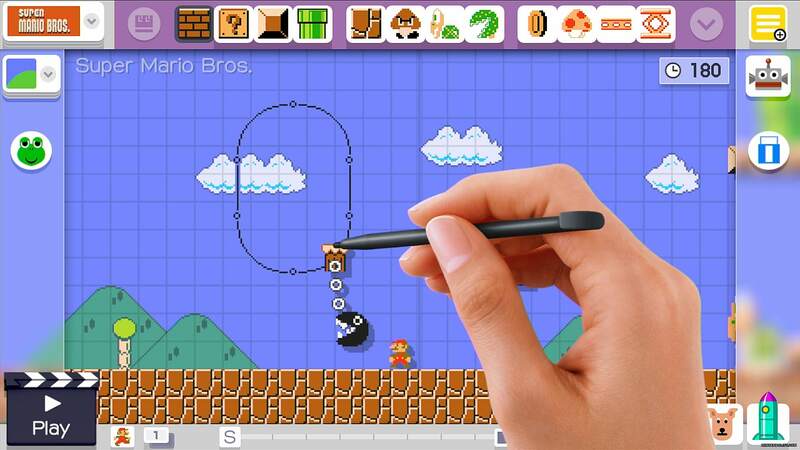 Nintendo's remedy for this is to satisfy players with a wide range of indie titles featured on their new device. While it's true many of these games can be played on other systems, the Switch versions are the only ones that can be played anywhere -- and a few are also exclusive to the console. Fans also have to keep in mind that the Switch is Nintendo's first region-free console since the original Nintendo DS, and will allow play of titles exclusively released in other countries. This also means players will be able to download titles from the Nintendo eShop in other regions, so release dates between different regions will be much less of a problem. Nintendo previously announced that their new paid online service would provide members with select Nintendo and Super Nintendo games each month, in addition to allowing online play for all games with the feature. It was also said that these free games will have to be purchased at the end of the month if players wanted to continue playing. Nintendo has since not shared any more information about their upcoming online service or virtual console, but there's a strong possibility they will be discussed at E3. We think it's inevitable a virtual console will hit the system, but until then, Nintendo is at least trying to satisfy players in other ways, something that will potentially not alienate specific fanbases. We won't know exact sales numbers of the Switch until April 27, when Nintendo reports their earnings. But from the positive reception the console has had so far, it could definitely be on track to defeat records of it's predecessors. It's hard to determine where the Switch could go from here, since the console just released at the beginning of March. 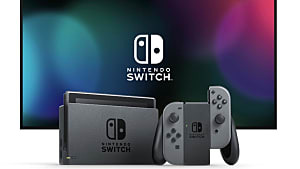 It has been quite a roller coaster between the initial reveal and release of the console, but if Nintendo can keep a steady enough balance, they could being seeing sales close to those of the PlayStation 4 -- currently the best selling console of the eighth generation. 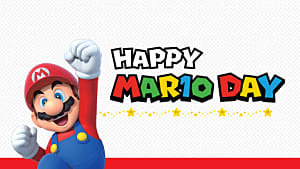 For now, let's just hope Nintendo has plenty of surprises in store. We know we'll be eagerly waiting for them. And from what it looks like, the Switch has a bright future ahead.